Kids can now join the much talked about 7's Football League. 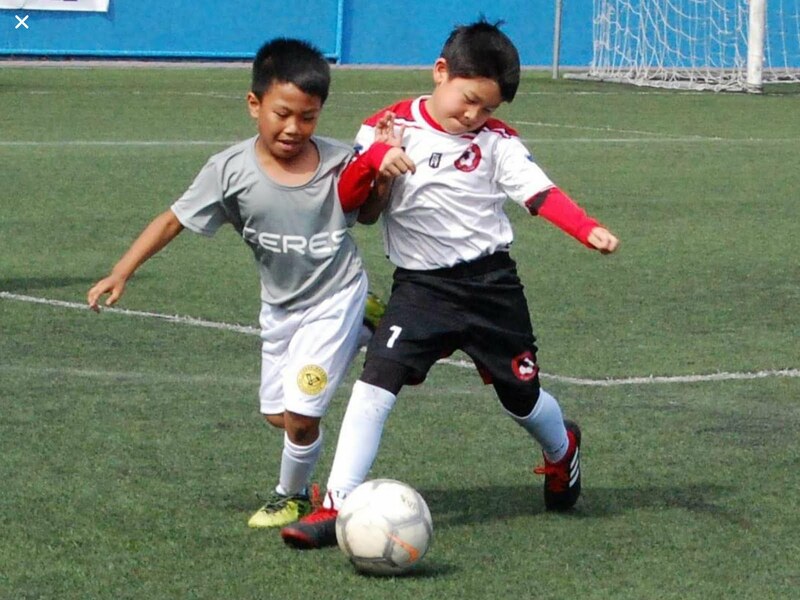 TAGUIG—The Philam Life-7's Football League introduced the youth division for its third season last Sunday at the McKinley Hill Stadium. The league aims to help develop the grassroots level of football in the country by providing an avenue to the youth clubs where they can play the sport and further improve on their skills. As it was launched, league founder Anton del Rosario was pretty satisfied with how the youth league turned out on Matchday 1 and was happy that there were a lot of teams that joined in. He is optimistic that putting up the youth league in the league will further help football be known to the Filipinos and at the same time show everyone that football in the county is really promising. "When it comes down to it, all the teams, the games were exciting, we got to see a lot of talent out there with the kids which is amazing and which is what I want to see," said Del Rosario. For its debut in the league, four age groups were introduced, which will eventually extend into other division, given the time and the right demand for it. “Right now we have 4 age groups; U9, U11, U13 [and] U15 and we are probably going to keep it at that and then if we can find more time, I guess maybe next season or something, then maybe we’ll add a girl’s division or second division,” Del Rosario further said. When asked of the possibility of adding another age group when it comes to the youth level of 7's football, Anton said that if there is a demand to add another age group then, he will be there to support the demand. Bringing the idea of a youth level in the 7's Football League is a way to help the youth to improve their skills in the sport. “You still play it as a professional, which it sort of shows and translates how important it is to play in such a small field. Small fields like this works on your skills, it works on your talent, it works on your touches, it works on your bar control, so a lot of the elements in the seven-a-side football game are used in the 11-a-side football game. It is a great stepping stone, especially for the youth to play these games at 7 a-side and transition to 11 a-side. I mean, it’s very important.” del Rosario explained.